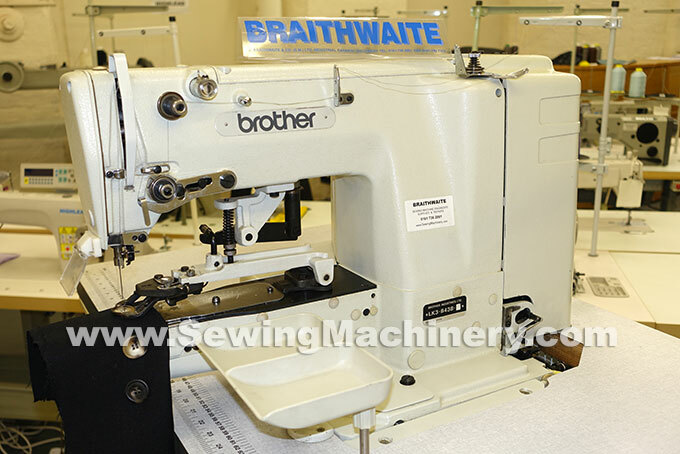 Brother LK3 B438 lockstitch button sewing machine with auto thread trimmer. 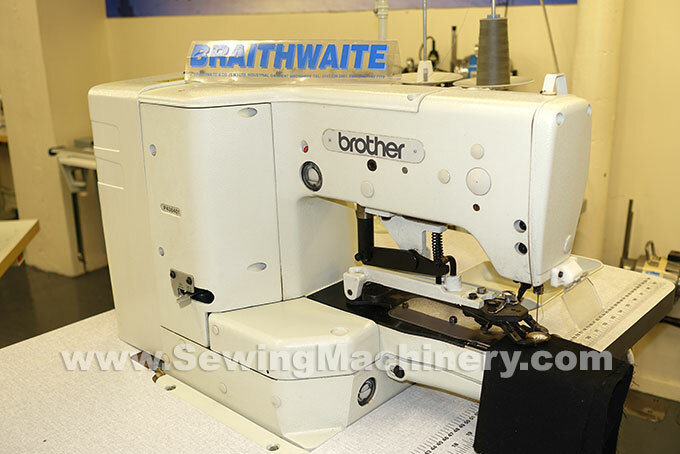 For 2 or 4 hole buttons with 9 or 18 stitch count selector. 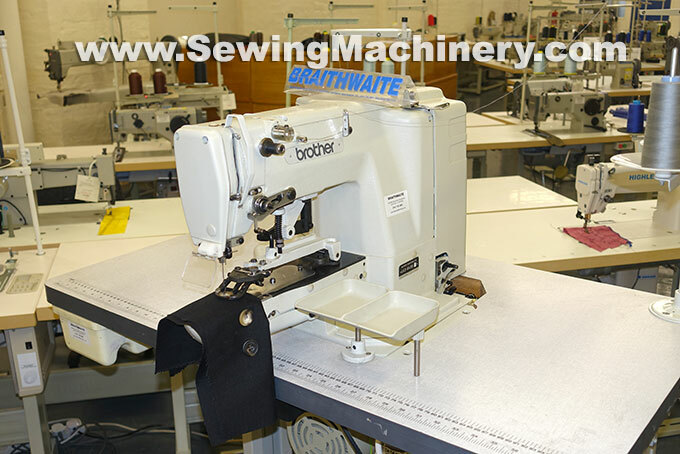 Assembled with quality UK made quick response wheeled unit stand.